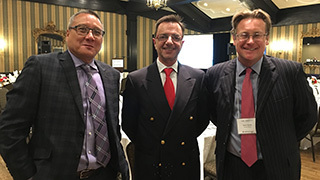 (L-R) William Delgado, Country Manager, Portuguese National Tourist Office; Luis Barros, Consul General of Portugal in Toronto; Gavin Eccles, Chief Commercial Officer, Azores Airlines. Gavin Eccles addresses the audience. Tina attends the Azores Airlines reception. 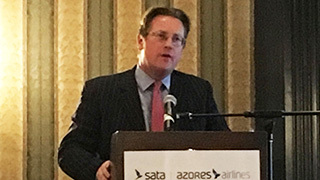 That’s the word from Gavin Eccles, chief commercial officer for Azores Airlines, who hosted members of the Canadian travel industry at a reception in Toronto last week alongside Visit Portugal. “What [it] did for Iceland is what I’m trying to do for the Azores and Azores Airlines. The fact that we are in the middle of the Atlantic is a weakness but it’s also a massive opportunity. Obviously the last two years, the North American market to Portugal has been exponential. 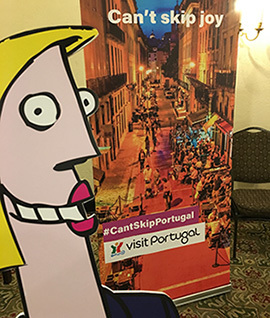 The Canadian tourist is finding Lisbon and Porto to be some of the best cities in the world. But why would you fly direct?” continued Eccles. The oldest airline in Portugal at 76 years of age, Azores Airlines also happens to be the first in the country to fly the A321neo. The first delivery came earlier this year and flies to and from Boston; while the second, freshly delivered, will fly four flights a week from YYZ to PDL starting this winter – a flight, it should be noted, that is only five hours in duration. With that in mind, Azores Airlines is putting the focus on providing customers with a full-service flight experience. “Not many airlines do this," said Eccles. 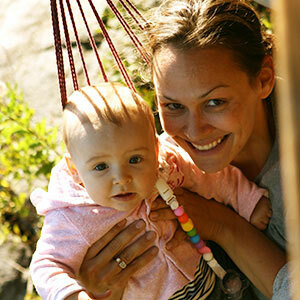 "Financially it makes my yield always a little bit difficult, but reality is we have to be different and we believe it’s the simple things that make a difference: free seating, food & drink, and free luggage." On the topic of travel agents, Eccles had this to say: “You are our sales force – why would I not want to reward you? We also don’t load fare in classes of fuel surcharges that are quite unacceptable. We believe that the customer should not be paying for the problems of Brent Crude Oil. "Of course, we do have to have some YQ, but as you have probably noticed, our YQ is quite reasonable compared to others. Which means that agents, we believe, with a really good fare and with a commission structure (Azores Airlines pays 6% commission), it is nice for us to work together and we will do everything to try to help push that forward.